A Tangled Yarn Designs bestseller! 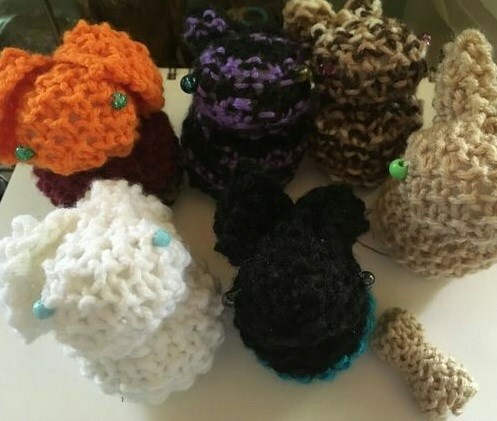 Standing at about 2 1/2 to 3 inches tall, these bunnies are highly customizable, from body variations to eye color, and make great gifts, or desk buddies! *Note: As these are a custom item, more time will be needed between ordering and shipping.